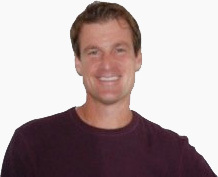 "I have been part of selling over 6 million dollars in websites." Awesome interview. Prudent advices! I enjoyed it. Shane is a great guy… he’s left an impression on me. Great interview Mike! Shane – you rock! Shane is one of the most honest and humble people in the industry. He tells it like it is and always has grade A content on his blog. Shane’s blog is one of my favs to read. I’ve spoken with him briefly by email a few weeks ago. Very down to earth and nice guy. @John, Shane’s been on my top read list since the start too. Great interview its stories like these that keep me working hard and trying to learn more and more. @Brian, some great inspiration from the domain bloggers… and non bloggers as well. @RH, thanks so much! I appreciate it. This is one of the best interviews I have read and I am especially happy to see that you are local! I grew up and currently live in Chicago – Old Town to be exact – and work downtown. You have given me a great amount of information and I thank you for that. I have been buying and selling for years – vintage “redline” hot wheels from the 70’s are my speciality but I dabble in just about everything that can make some extra money. I also just recently started domaining and building up a portfolio. Since I am “late” in the domaining world I started scooping up some .co domains and will start working on building up a decent .com portfolio. You say you dont have a strategy – but not having a concrete strategy is the best strategy you can have. I know far too many people who will buy everything in sight and think they can become rich quick – little do they know – that is extremely unlikely. The best advice you gave is to not chase trends – that is golden! Thanks for the great interview – maybe I’ll run into you sonehow if your ever in the city! Cool interview. My best advice is to target a few niches. I have done well with taxi, movie, and job domains. Now I’m into education, resume/cv/cover letter and service-related domains. Even when I first started domaining, I purchased domains in areas that eventually sold to another. Persistence is an important trait to have, especially when you don’t have top notch domains. 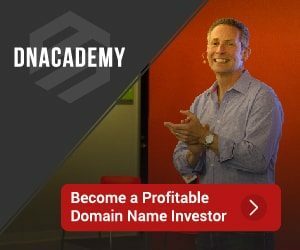 Don’t always listen to domain investors that ridicule your domains. All you need is do is find domains that are widely used services and good products. Selling domains in package deals can move inventory. Good .com domains are available for cover letters, various products and some services. As Shane mentioned, .com is an easy sale. However, .us domains have been a good sale for me. Cold calling is ineffective, unless you want your domain to land you a job opportunity. Direct emails are best, but dealing with past buyers and advertising on various platforms are the best techniques to make sales. There are many domainers who own the best stuff. You can sell too. Be confident. Be direct. Know what you want. Price your domains at reasonable prices. In most instances, the sooner people can work on anything full time, the better their chances of success. Lead trends, don’t chase them. I wish I read more posts like this when I started buying domains. I was tempted by the low prices of the non-(dot com) domains so I bought more than I should have. So I’m sticking with dot com domains now. Also I’m developing mini sites instead of just domains. Good interview thanks for posting. Great advice! I am always stuck between using a Make Offer feature or Listing an actual price on networks. Maybe Shane can tell us what worked better in that situation for him? I can’t help but be envious when i see great domains come up for sale in auctions. i kick myself for not picking up better ones when i had the chance in 98! I see one domain in the namepros auction that is pretty awesome ..http://www.programming.com.au … what a great generic, with such a great potential for development! I’ve never bid in this auction, but I’m very tempted this time! Thanks again for the interview, I really enjoyed it. I will answer a few questions. If you think I don’t see value in generic keyword domains you are mistaken. I own plenty of them and I buy more every week. They have incredible value. If you are going to flip domains, these are the easiest, most consistent type of domains you can actively buy and sell. What I meant in my statement is if this is ALL you do, you are missing huge domain markets that deal with non keyword domains. The CVCV.com market has been very profitable for me. The numeric domain market is doing very well and my niche 5 letter dot coms takes time but yield excellent returns. I have dot coms like Weeba, Sello, Koosy, Happa, Dumpo, Koosy, Bleeb, Jukio. Sure all these names look like hand registered domains and of course were at some point in time, but I very rarely sell any of my 5 letters for under $1000 and sell 4-10 a year. I look for names that make good startup names. As for the networks. I use Godaddy, Afternic, and Sedo. I have 99% of my sales private or on Sedo. I always use make an offer. At that point I decide whether to try and negotiate (most go nowhere as they are lowballers) or send it to auctions. I will often send a name to auction if I think that it would perform well in a public auction. I will often do this for cash flow as well. 8 out 10 times I get it wrong. Sometimes I don’t do as well as I like but I have never lost money on a domain but sometimes cash flow is just as important as profit. Breaking even on some domains I bought earlier is OK because I was not as good a buyer as I am now and the money I make will be better invested with today’s purchases. Thanks Mike for the platform, of course I have my own but it’s more fun over here.